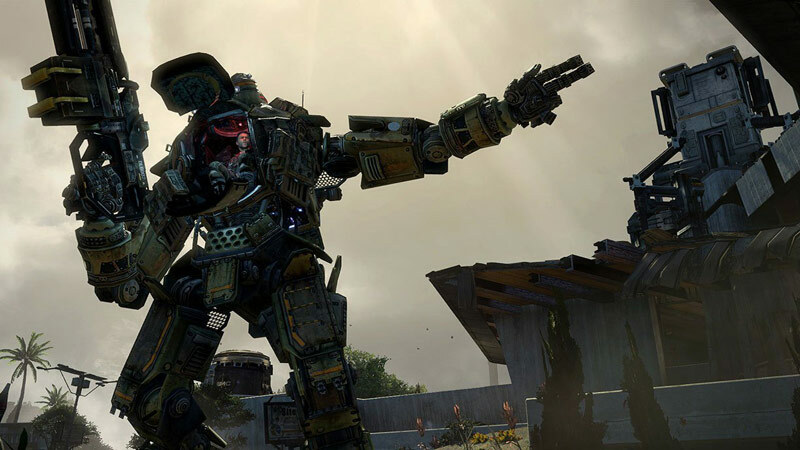 Set in a distant frontier torn apart by war, Titanfall gives players the freedom to switch between fighting as elite assault Pilots or agile, heavily armored, 24-foot tall Titans. The advanced warfare of tomorrow gives you the freedom to fight your way as both elite assault Pilot and agile, heavily armored Titan. 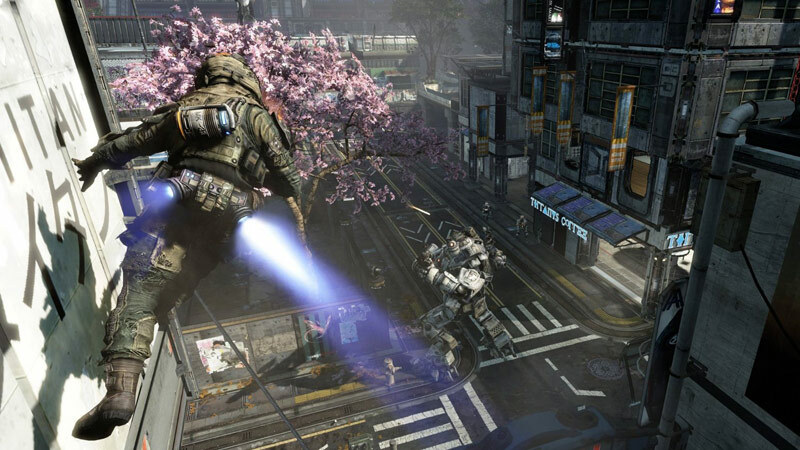 Online gameplay is core to the Titanfall experience, as fast-paced multiplayer action is combined with heroic moments from traditional campaign mode. Titanfall's expert mix of light-footed pilots and massive Titans brings something entirely new to the competitive arena. These systems mesh perfectly with existing shooter tropes, and the combination of new and old has reinvigorated my interest in a type of game I had all but written off. If getting back into shooters after Halo 3 was challenging for me, I can only imagine how hard it will be to find a game that can live up to the new standards set by Titanfall. 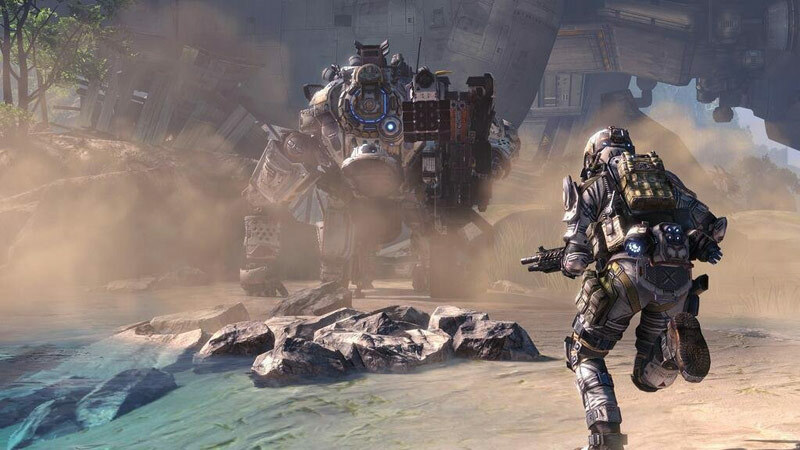 Respawn took a chance with Titanfall, embracing what it knew best with a multiplayer-only experience and pushing the envelope with its imaginative twists on classic competitive play. The result feels like a new breed of multiplayer that is inviting to established shooter players, but also compelling for people intrigued by everything from the free-running to the giant robotic titans. Titanfall is enormously entertaining, with long legs that should have players exploring its depth for many months to come. 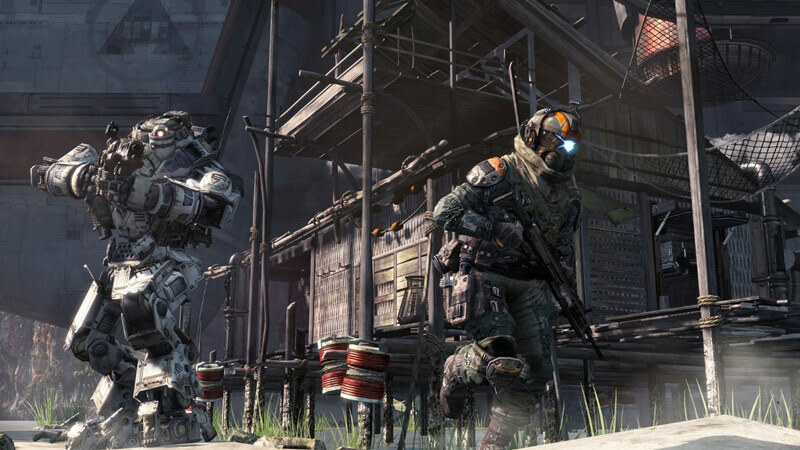 Respawn Entertainment seems to have cherry picked the very best aspects of contemporary shooters for Titanfall, and it works incredibly well. The dynamic between the Pilots, Titans, and AI is fun and fresh, and it works surprisingly well in every mode offered. Titanfall is pure, unadulterated multiplayer gaming. Titanfall es frenetismo y rapidez. También es un juego muy conciso que sabe lo que quiere y que, comparado con la variedad que suele haber en el género, puede resultar algo escaso en cuanto a modos. Pero si lo que buscas es una experiencia multijugador y realmente las campañas no son de tu devoción, encontrarás en él uno de los mejores shooters online de los últimos tiempos, con suficientes mapas y vida útil para el resto del año. Rapidísimo, adictivo, épico y accesible para todo el mundo. Respawn dio forma el mes pasado a una maravilla de los FPS multijugador y BluePoint con esta conversión no se la ha cargado ni mucho menos en lo que a gameplay con el mando en las manos se refiere. Aire fresco para los shooters sin dar de lado a las bondades de la fórmula Call of Duty, qué más se puede pedir. Bueno sí, un esbozo técnico ligeramente más cuidado. Será que no ha dado tiempo. Das Team, das bereits für die HD-Umsetzung der God of War Collection, Metal Gear Solid Collection sowie PS3-Versionen von Ico und Shadow of the Colossus verantwortlich zeichnet, leistet auch bei Titanfall ganze Arbeit. So und nicht anders sieht eine gelungene Konvertierung aus! Zwar muss man auf der Xbox 360 leichte grafische Abstriche in Kauf nehmen, doch bleibt als Entschädigung das hervorragende Spielgefühl mit seiner unterhaltsamen Mischung aus akrobatischen Wandläufen und brachialer Mech-Action erhalten. L'expérience plaira assurément aux débutants du FPS qui trouveront un titre au fun immédiat. Ils pourront s'adonner à des affrontements extrêmement bourrins et parfois même un peu tactiques en ayant toujours l'impression de progresser : dans Titanfall, on gagne toujours de l'expérience même lorsqu'on perd. Quant aux autres joueurs, si les premières heures sont une véritable claque de plaisir, le manque d'originalité des modes de jeu et la rapidité avec laquelle on fait le tour du titre pourront lasser au bout de quelques temps. Véritable révolution ou effet de manche? La vérité sur Titanfall se situe probablement entre les deux. D'un côté, le titre de Respawn Entertainment peut compter sur son action explosive, un gameplay rafraîchissant et le fun immédiat qu'il procure pour remporter l'adhésion des joueurs occasionnels. De l'autre, son manque de contenu, ses options en ligne faiblardes et son hyper accessibilité risquent de lasser les joueurs aguerris qui ont besoin de plus qu'une bonne idée pour rester sur le long terme. 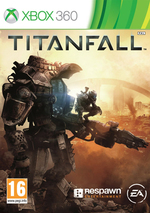 Pour ne rien vous cacher, nous avons accueilli avec pas mal d’appréhension cette version Xbox 360 de Titanfall. Non seulement, on savait que le portage avait été sous-traité par le studio Bluepoint Games mais en plus, le silence de mort de Microsoft et d’Electronic Arts autour du jeu ne présageait vraiment rien de bon. Chiunque sia incuriosito da questo videogame sulla bocca di tutti potrebbe decisamente pensare all'acquisto, a patto di mettere già in conto qualche magagna tecnica e in generale una condizione non proprio smagliante: certo, il cuore resta sempre quello di uno sparatutto clamoroso, eppure potendo scegliere sarebbe decisamente meglio optare per le versioni "maggiori", le uniche realmente scevre da qualsiasi rinuncia o ripiego. Se avevate paura che i rinvii di Titanfall sulla precedente console Microsoft fossero legati alla presenza di chissà quale problema tecnico o all'impossibilità di gestire il gioco, quindi, potete rilassarvi. I ragazzi di Bluepoint Games hanno fatto un ottimo lavoro e al di là di qualche piccolo compromesso l'esperienza che potrete godere su questa piattaforma non ha nulla da invidiare a quella disponibile sulla sua sorella maggiore. 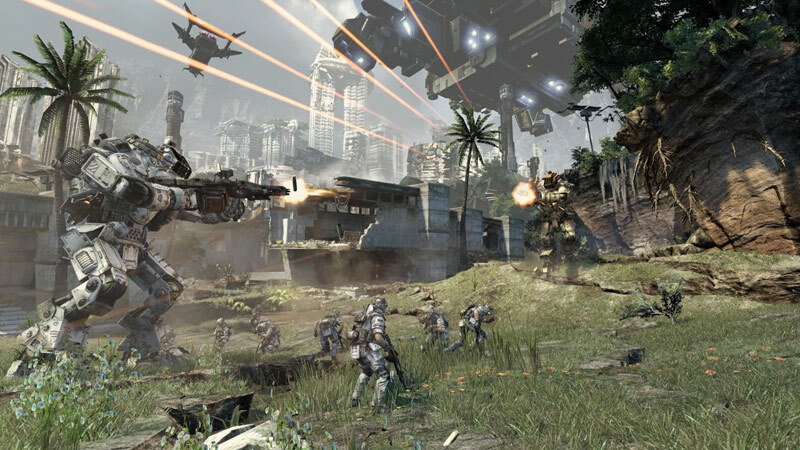 Titanfall is een enorm genietbare game die een frisse wind doet waaien door het vastgeroeste first-person shooter genre. Met zijn toegankelijke maar gebalanceerde gameplay komt iedereen aan bod en is tactiek even belangrijk als het beschikken over reflexen. Het enige dat ontbreekt is een ruimere variatie aan spelmodi en keuzes om de speelervaring naar believen aan te passen.